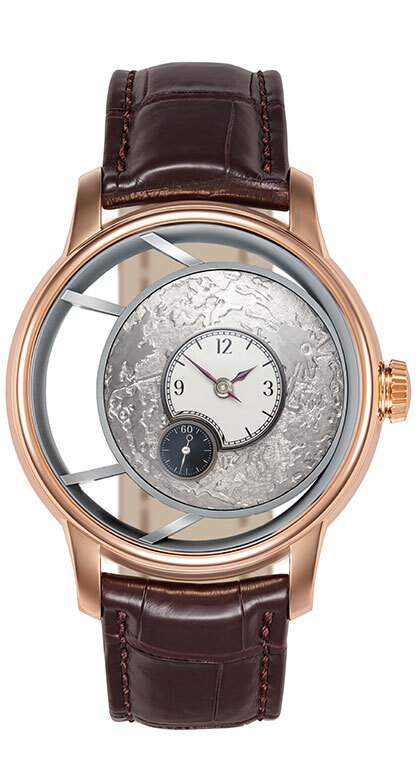 The calibre 100.3 with the jumping date is based on the calibre 100.1. It is also a pillar movement with a 2/3 plate. 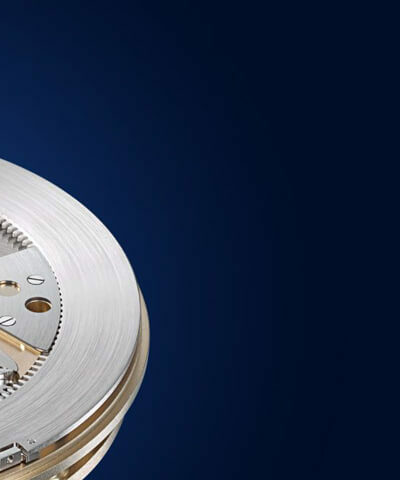 All of its elements are crafted in the manufacture, including train wheels, stopwork, escapement, and oscillator, and then endowed with the High-Artistic Finish to spotlight their characteristic beauty. 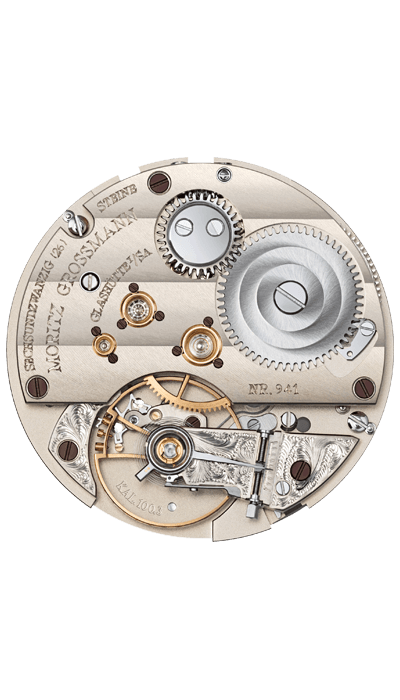 The additional jumping date mechanism is composed of parts of varying complexity that are integrated in the movement on the dial side. 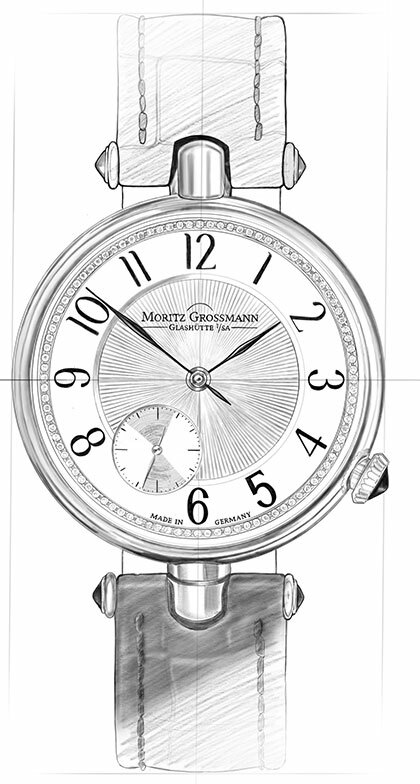 Grossmann‘s watchmakers explored new avenues to develop a delightful solution for the date display complication. The jumping date stands out with convenience and precise functionality. With a complete scale and the moving marker on the periphery, the date display of the ATUM Date emphasises the perfection of pure watchmaking artistry in this application for the first time. The jumping date display of the calibre 100.3 relies on a complex system composed of a date switching wheel, a release lever, a switching star and a date ring with the marker. The date switching wheel consists of the wheel itself, a ring-shaped switching finger spring, and the switching finger. The switching finger can freely rotate on the wheel but is secured by the ring spring in a position that allows movements on both sides but always requires tensioning of the spring. 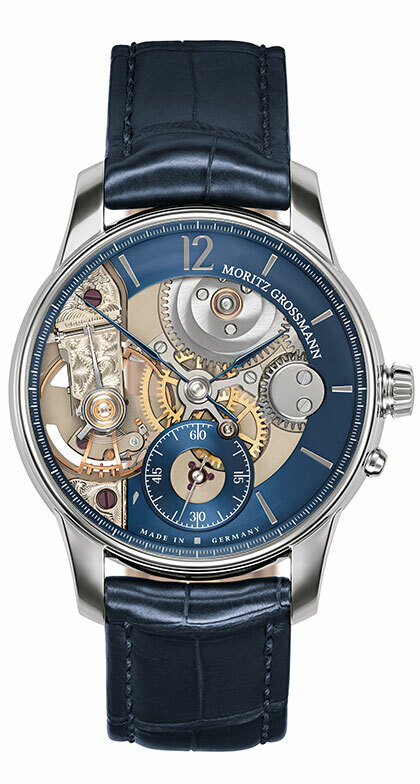 The mechanism is powered by the hour wheel at a ratio of 2:1, so the switching wheel rotates anticlockwise once every 24 hours. The transmission ratio of the date marker mechanism is calculated to 11.6°, so the increments of the date marker ring add up to a total of 31 days. Apart from the precisely jumping date, this type of date display has the advantage that the switching finger does not engage with the date switching wheel except for the few milliseconds during which the jump to the next date is taking place. Thus, the date can be corrected in either direction at any time. 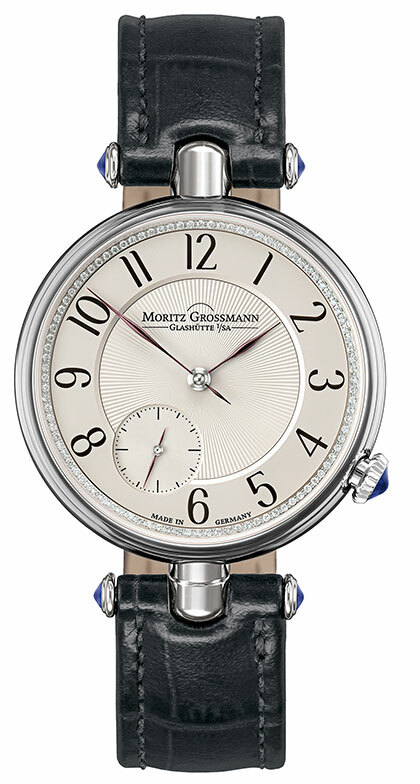 The separate setting crown at 10 o‘clock allows the date to be corrected, for instance at the end of a month. Normally, this setting crown is not active, so inadvertent corrections are prevented. The crown must be pulled out to set the date. 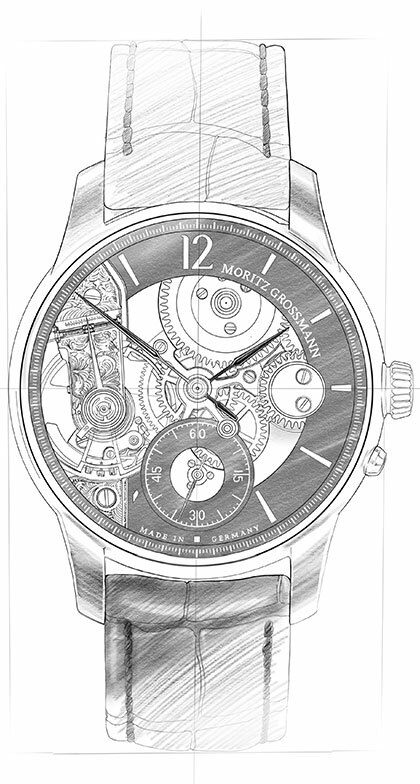 During the process, the movement continues to run and the date can be set by turning the crown in either direction. A jumper spring causes the date ring with the marker to precisely engage in the right position. 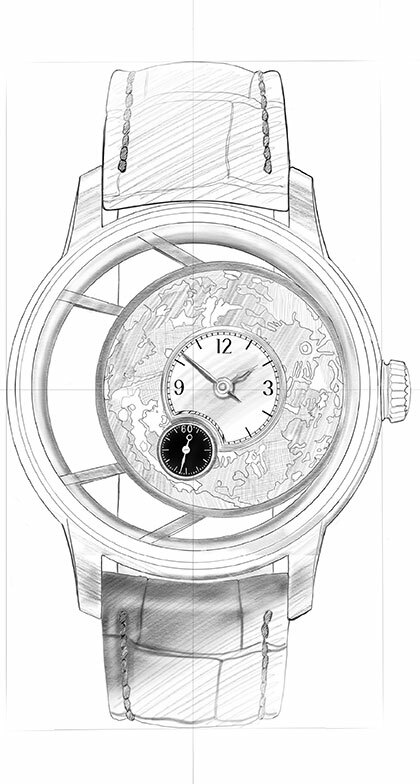 The ATUM Date is the first watch to be endowed with the calibre 100.3. 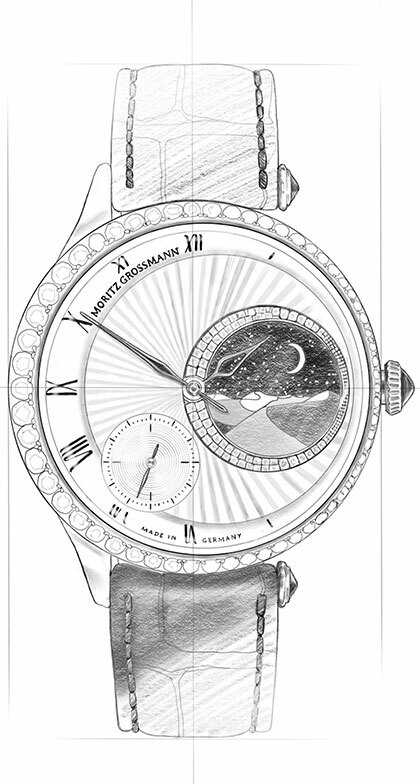 A complete clockwise date scale from 1 to 31 is located on the outer periphery of the dial. 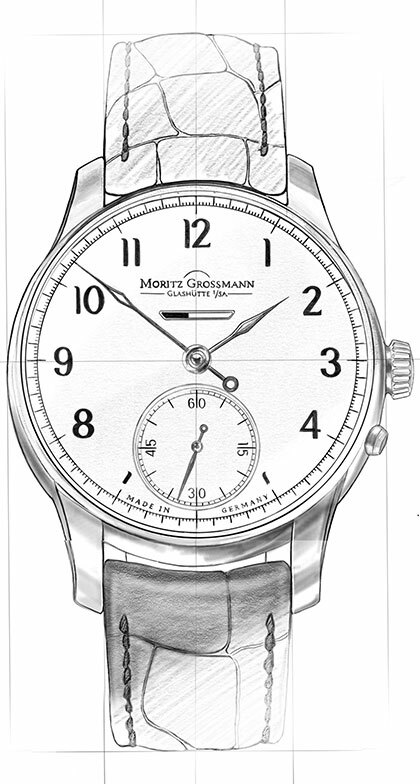 The blue date numerals clearly contrast against the applied hour markers. To avoid competition between the date indicator and the hour and minute hands, it points to the date from the outer circumference instead of from the centre. 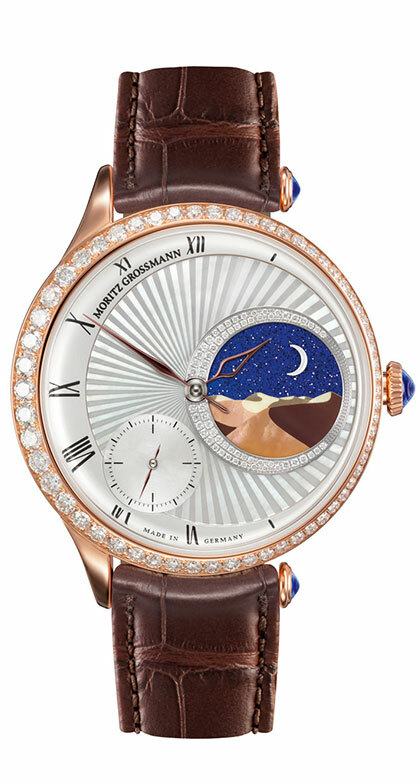 It is positioned on a date ring beneath the dial. The ring, with the marker, moves along the scale in steps of one day. 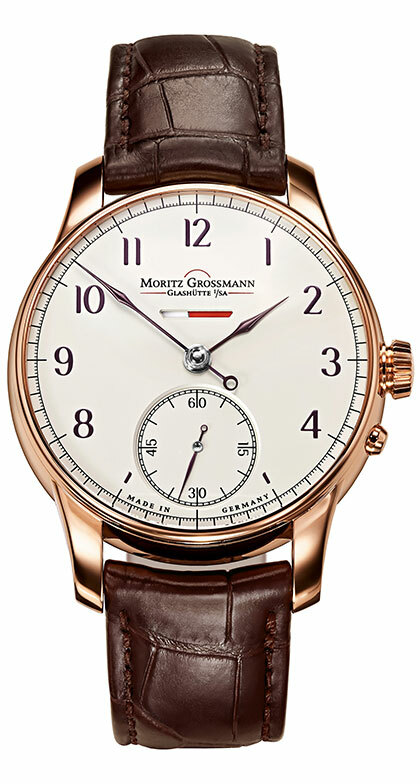 The prominent bracket-style date marker is manually crafted and annealed to a brown-violet hue. It frames the current date numeral, assuring superb legibility.